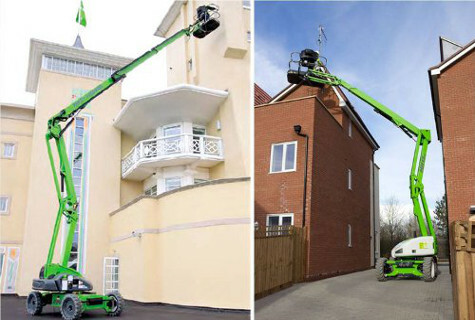 At Hire Safe Solutions Ltd we hire, lease and sell a large range of Electric, Bi-Fuel Hybrid and Battery Boom Lifts, IPAF category Mobile Vertical (3b) covers the training requirement for using this type of powered access. 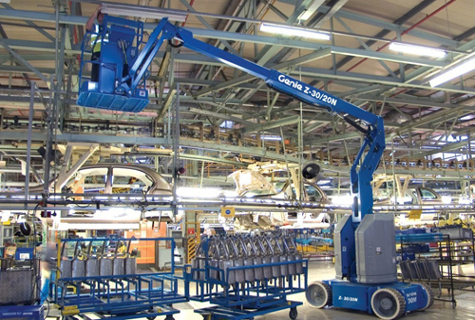 Our Boom Lifts range spans from 10 to 28 metres. You can view the entire range below. 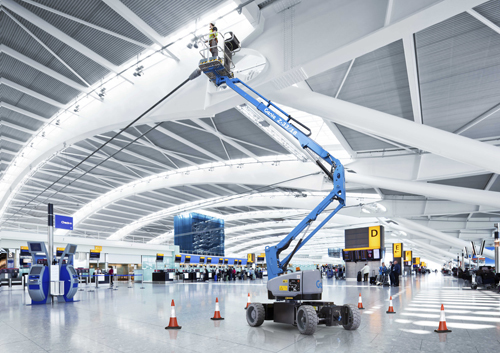 Our team of specialists is happy to offer advice and guidance on the most suitable option for your business needs. 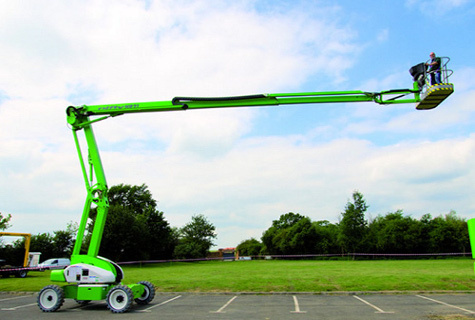 These type of MEWPs usually come in an Articulated configuration and are ideal machines for working in environments with limited access, equipped with exceptional lifting versatility, they are perfect for both construction and industrial applications. 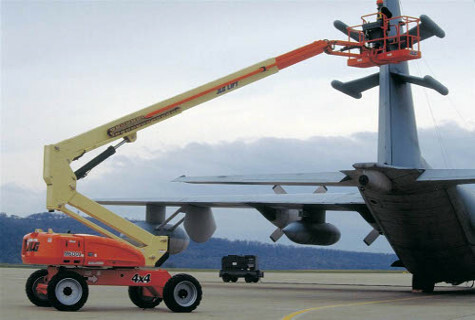 For environments with very little space to operate, we have models available with zero tail swing. 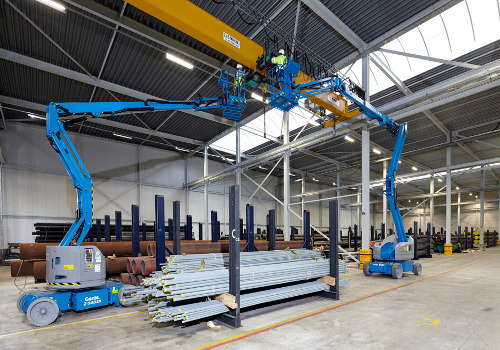 Electric, Bi-Fuel Hybrid and Battery powered boom lifts are predomi-nately for indoor use, although several models can be used outside, some have limited tractive ability but can be used on rough terrain. The Bi-Fuel and Hybrid models will have a battery pack for use in-doors and a diesel engine to power the unit when it is in use in an open environment. 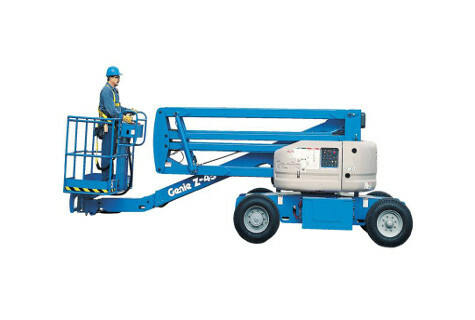 The diesel engine allows the MEWP to be used for prolonged periods without the need to be recharged. 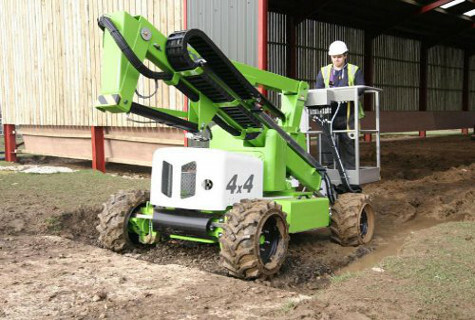 Narrow access models can be driven through standard double doors. Four-wheel steer in some models combined with 4WD gives the opera-tor exceptional manoeuvring ability.